Wingly is a flight-sharing platform – frequently referred to as ’The Uber of the Skies’ or the 'Airbnb of Aviation' – and it's having a disruptive effect on flights around Europe. It allows private pilots to slash the cost of their hobby, whilst letting you and I take to the skies at incredibly low prices (often similar to a rail fare for the same journey). T3 recently took a short sightseeing flight around Oxfordshire – this is how we got on. Wingly is an online platform which connects private pilots with people who are looking to book a short flight. Many of the flights listed on Wingly are sightseeing trips – a scenic route (perhaps over your house) that lands at the same airport you took off from – while others listed are day trips or single journeys to parts of the UK and Europe. It's a great way to celebrate special occasions, such a birthdays or wedding anniversaries, but it's also an ideal way to make staycations a little more exciting. The company is based in France and has around 10,000 pilots across Europe on its books. Around 3,000 of those are based in the UK. Yes. The Civil Aviation Authority states the direct cost of private flights can be shared by up to six people, including the pilot. These "direct costs" include fuel, airfield charges, or rental fee for an aircraft, etc. 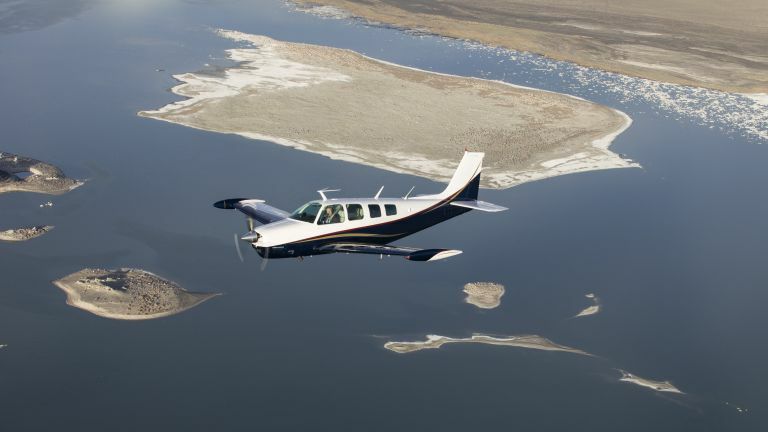 The pilots can’t make money out of the service – they can only share the costs of their hobby. New European regulation also removes the restrictions on advertising flights, which made way for online services, such as Wingly, to match up pilots and passengers. A pilot lists their flights on Wingly. You can search the site for any flights departing from your desired location. Some flights are listed on specific dates, but most are flexible, allowing you to message the pilot to discuss dates and requirements. Once you've settled on a flight and agreed details with the pilot, you can reserve a seat (or seats) on the flight. It's worth noting that flights may be cancelled for any reason, that includes poor weather conditions or because the pilot’s plans have changed. There are no scheduled routes – you are simply sharing a ride. How much does Wingly cost? It was a cold December morning when I arrived at Thurweston Aerodrome in North Buckinghamshire. Frost was still on the ground and sheep were peacefully grazing at the end of the runway. There was barely a cloud in the sky – perfect for my sightseeing trip. It's a relaxing start to a flight (despite the fact I was running 10 minutes late) and a much more pleasing experience than arriving at Gatwick or Heathrow. I met my pilot at the Flight Deck Cafe, and we talked over the flight, the route, and his experience (with over 850 hours flight time, I was in safe hands) over a coffee. We then headed out onto the tarmac, where I shadowed the pilot as he performed all of the pre-flight checks, talking though them as he went. After making sure everything is working as it should, it was time to take-off, we approached the runway and waited for clearance from air traffic control. We sat at the side of the runway while a few planes landed, but it quickly became our turn. We lined up on the runway and the engine roared into life. Before I knew it we were airborne, gaining altitude at a surprisingly steep angle. Camera in hand – I was ready to start snapping away while the pilot pointed out points of interest. We looped around Silverstone and headed towards the sprawling metropolis of Milton Keynes. After taking in the town's impressive grid system from the air, we shot off towards Aylesbury and then my village, where I was able to photograph my cottage from the air. It was time to head back to Thurweston. I was expecting to clatter down to the Earth with a rather harsh thud, but the landing was surprisingly smooth, with my pilot remaining calm and collected throughout the flight. As soon as I returned home I began looking at where I could go next – I think a day trip to the Isle of Wight could be on the cards.